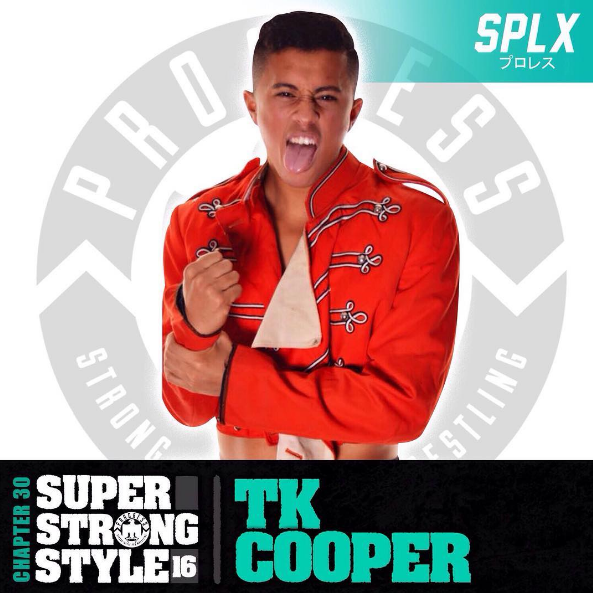 TK Cooper has qualified for Progress Wrestling’s annual Super Strong Style 16 tournament. The New Zealand expat earned his place in the 16-man tournament with a battle royal victory at ENDVR 16 this past weekend in London. The ENDVR battle royal was the first match of it kind held at a Progress event, making Cooper’s a name for the history books. Super Strong Style 16, now in its second year, is a 16-man elimination tournament held over the course of two days. The tournament winner will receive a match for the Progress World Championship. Progress has described this year’s tournament as featuring 16 of “the best wrestlers in the world” including international standouts Sami Callihan, Matt Cross and Chris Hero, as well as former Progress Champions Rampage Brown and Mark Andrews. Tournament brackets have yet to be announced. Progress Chapter 30: Super Strong Style 16 2016 takes place over two days, May 29 and 30, in London, England and will eventually be available to view on Demand Progress, the company’s video on demand subscription service.